So let us start by saying that Shakespeare is the greatest of all artists, and let our aesthetic grow to be the philosophical justification of this judgement. We may note that a similar method can, and in my view should, be used in moral philosophy. That is, if a moral philosophy does not give a satisfactory or sufficiently rich account of what we unphilosophically know to be goodness, then away with it. Iris Murdoch (1959) “The Sublime and the Good”, Chicago Review, Vol. 13, No. 3, pp. 42-55. Quote from p. 42. For the fourth centenary of Shakespeare’s death, Iris Murdoch’s judgement of him as the greatest artist of all. Murdoch argues against Tolstoy that both aesthetics and morality have to start from the concrete, not from definitions which determine what is art, or what is good. Iris Murdoch (2008/1965) “The Red and the Green”, Random House, p. 36. There is a two-way movement in philosophy, a movement towards the building of elaborate theories, and a move back again towards the consideration of simple and obvious facts. McTaggart says that time is unreal. Moore replies that he has just had his breakfast. Both these aspects of philosophy are necessary to it. 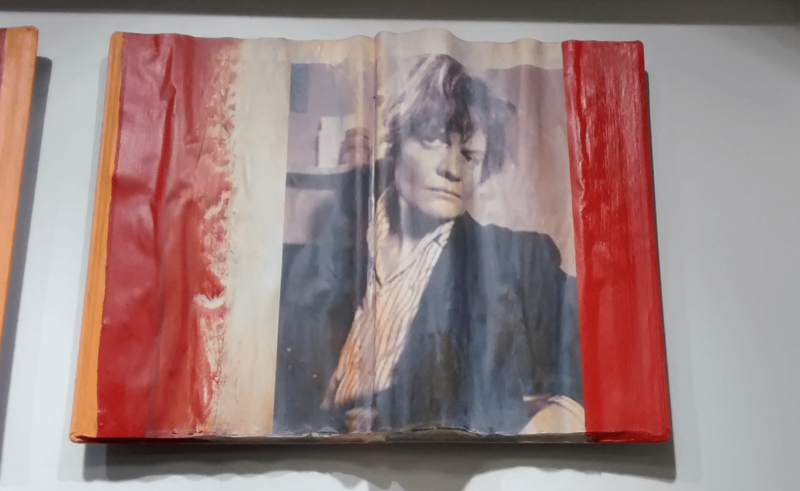 Celebrating ten years since the opening of the Iris Murdoch Archives and the inauguration of the Centre for Iris Murdoch Studies, the Seventh International Conference on Iris Murdoch will showcase published and on-going research that has been informed by material in our archives. Happiness is a matter of one’s most ordinary everyday mode of consciousness being busy and lively and unconcerned with self. To be damned is for one’s ordinary everyday mode of consciousness to be unremitting agonising preoccupation with self. Iris Murdoch, The Nice and the Good, (1968), chapter 22.
unsentimental, detached, unselfish, objective attention. Murdoch the novelist would have approved. From Godless yet good, a piece on secular ethics by Troy Jollimore in Aeon Magazine. Murdoch and Nietzsche start from with the same assumptions when considering morality. But interestingly, they end up in different places. That human life has no external point or Telos is a view as difficult to argue as its opposite, and I shall simply assert it. I can see no evidence to suggest that human life is not something self-contained. These principles are ones Nietzsche would agree with. Added to this the disagreement among those who consider the matter as to what principles morality is based on, lead Nietzsche to scepticism about the existence of morality (see the upcoming paper by Leiter which outlines Nietzsche’s position in full). Murdoch takes another path. She agrees that modern attempts to analyse moral concepts without success, but argues that the failure is due to the abandonment of images and metaphors, which are “the fundamental forms of our awareness of our condition”. Though such philosophy does not arrive at a conclusion, it does contain concepts which lose substance when an attempt is made to remove the metaphorical aspects.